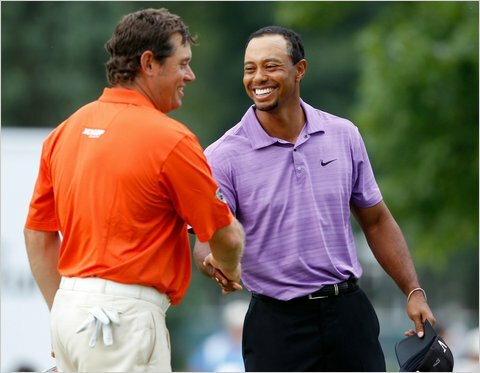 It’s finally happened…after a 281 week reign as the #1 golfer in the world, Tiger Woods has fallen -- not to Phil Mickelson, as many might have thought -- but to Lee Westwood. This change in rankings means Westwood has become the first European holder of the #1 spot since Nick Faldo in 1994. Woods had been #1 since the week before the 2005 US Open, where he finished as the runner-up. He won the British Open a month later and his ranking was rarely threatened since…until this year when Woods had serious issues on and off the course. When asked about the end of his reign, Woods said, "As far as the world ranking is concerned, yes, I'm not ranked #1 in the world. In order to do that you have to win and I didn't win this year." Woods also said, "As far as the emotions go, it is what it is. "To become #1 you have to win and win a lot to maintain it. That's the way it goes." Westwood is followed closely in the rankings by Woods, PGA champion Martin Kaymer, Phil Mickelson and Steve Stricker so Westwood’s reign may be short-lived. In fact, such a strong field will play in the HSBC Championship, which gets under way this Thursday, that Westwood, Woods, Kaymer or Mickelson all have a chance to gain the top spot by week’s end. Eve Jones - Rivalry Rage, Inc.